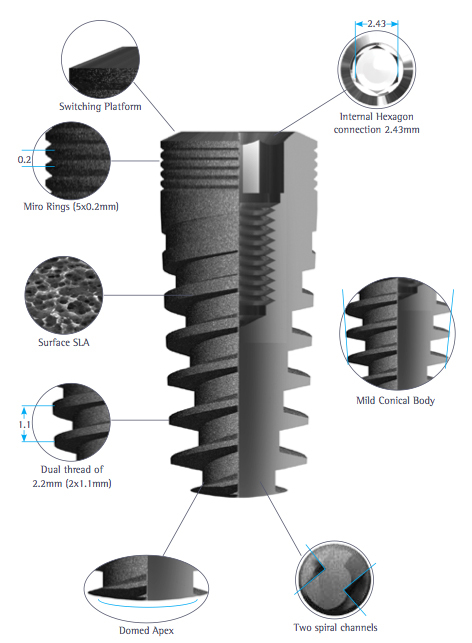 The MSI France Implant self-tapping Spiral implants are especially designed for implantation in a wide range of bone types and bone augmentation procedures. Their new geometric design includes dual threads, two spiral channels stemming from the apex, micro rings on the implant neck and a changing thread thickness along the implant. • The Spiral implant is designed to suit a wide range of bone types and bone augmentation procedures. 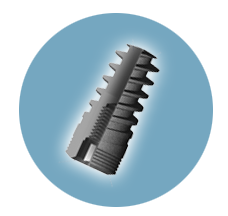 • The Spiral implant has a wide range of restoration parts. 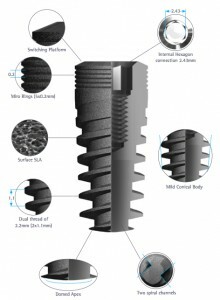 • It has a double thread of 2.2mm which increases the implant’s insertion speed. • It has self-tapping capability. 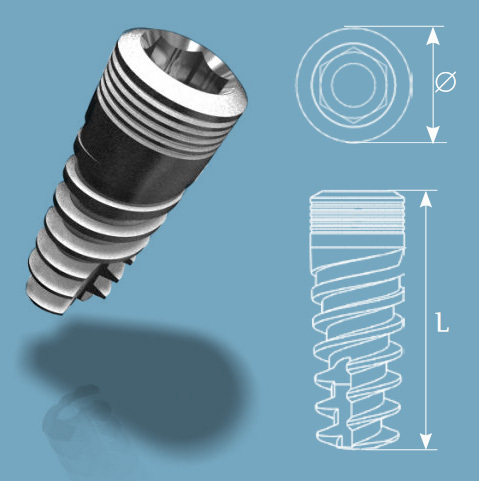 • The Spiral Implant has two spiral channels for improved integration. • The micro rings on the implants neck improve the shear strength in the crest zone. • The changes in the thickness of the thread improve bone compression. 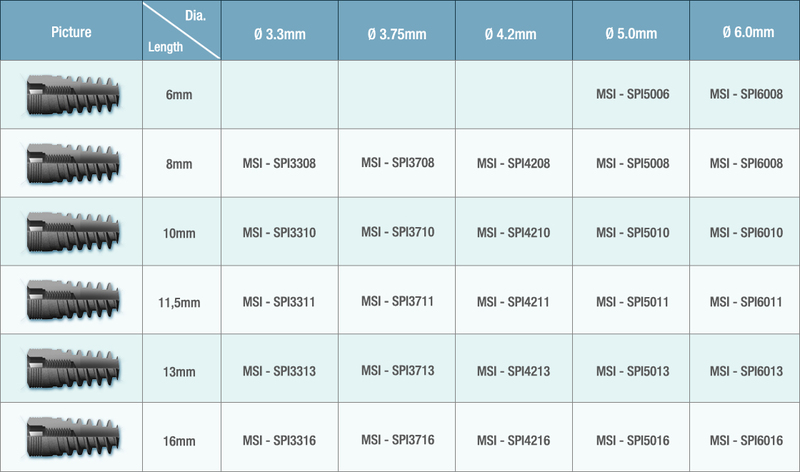 • The Spiral Implants are available in 3.3, 3.75, 4.2, 5 and 6mm diameters and in lengths of 6,7,8,10,11.5,13 and 16mm. The thread thickness changes from the apex to the neck with the same pitch, improving the compression of the bone during insertion Micro rings on the implant’s neck provide better initial stability by improving the interfacial shear strength at the crest zone. The surface roughness over the entire body, the unique surface morphology, together with the micro rings at the implant’s neck, prevent bone resorption at the implant’s neck.